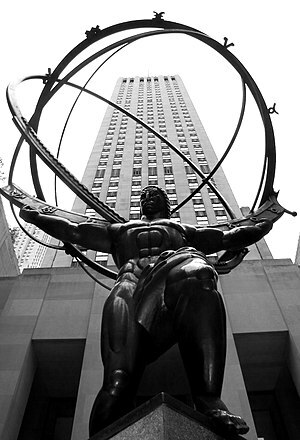 The Ayn Rand Institute has recently started uploading videos onto YouTube. Since I have an account on YouTube, I have already subscribed to the ARI video feed. I urge you all to do the same. The ARI’s most recent posting is a series of Question and Answer videos–a series of 8 Q&A clips–that were recorded at one of their conferences on Reason versus Faith. They are excellent viewing. Some of the questions from the audience members are quite baffling–like in videoclip 2, a man insists that Objectivism impoverishes the human spirit by emphasizing reason. I’m not sure which philosophy he is indicating when he says “Objectivism”, but his version surely cannot be the one developed by Ayn Rand, because Rand in fact wanted and fought to repossess the concepts and sentiments of exaltation and worship that religion had expropriated for itself. Videoclips 3 and 5 are also very interesting for the answers given by Dr. Ghate and Dr. Brooks. Indeed, watch all 8 of the clips, vote your favorites, leave a comment if it so moves you, and subscribe to the ARI video feed. Syrian-born political commentator and American psychiatrist, Wafa Sultan, speaks with the ferocity of a sword-wielding soldier in the battlefield of ideas. This Harvard University study seems to suggest that scientists are finally catching up to the insights of the Objectivist epistemology. Integration–a cardinal function of man’s consciousness on all the levels of his cognitive development. First, his brain brings order into his sensory chaos by integrating sense data into percepts; this integration is performed automatically; it requires effort, but no conscious volition. His next step is the integration of percepts into concepts, as he learns to speak. Thereafter, his cognitive development consists in integrating concepts into wider and ever wider concepts, expanding the range of his mind. Principles–an abstraction which subsumes a great number of concretes. It is only by means of principles that one can set one’s long-range goals and evaluate the concrete alternatives of any given moment. You have no choice about the necessity to integrate your observations, your experiences, your knowledge into abstract ideas, i.e., into principles. Concrete problems cannot even be grasped, let alone judged or solved, without reference to abstract principles. Concepts and Words–Concepts and, therefore, language are primarily a tool of cognition—not of communication. The primary purpose of concepts and of language is to provide man with a system of cognitive classification and organization, which enables him to acquire knowledge on an unlimited scale. Concepts represent condensations of knowledge, which make further study and the division of cognitive labor possible. Focus–The act of focusing one’s consciousness is volitional. Man can focus his mind to a full, active, purposefully directed awareness of reality—or he can unfocus it and let himself drift in a semiconscious daze, merely reacting to any chance stimulus of the immediate moment, at the mercy of his undirected sensory-perceptual mechanism and of any random, associational connections it might happen to make. When man unfocuses his mind, he may be said to be conscious in a subhuman sense of the word, since he experiences sensations and perceptions. There are, of course, many more insights into human cognition that Ayn Rand identified in her Objectivist epistemology that in my opinion are not exhausted by Hauser four identifications: for example, Ayn Rand’s theory of measurement-ommission and its role in concept-formation. However, all of the above–and the entire corpus of the Objectivist theory of epistemology–indicates a simple and self-evident fact about human cognition that is denoted by single concept: the conceptual faculty; that is, man’s consciousness is uniquely conceptual in nature. Lisa VanDamme’s unique approach to education, which has proven to be a great success among students, parents, and educators, was featured in an article in The Heartland Institute’s newsletter. The VanDamme Academy, a K-8 school in Laguna Hills, California, has an unusual way of giving students a better foundation of knowledge. Founder Lisa VanDamme said the students learn incrementally, not moving forward in concepts until they’ve mastered the one at hand. Moreover, teachers encourage them to make connections within and between the subjects, and between school and life. Using a carefully planned curriculum, teachers help students build core knowledge and hone skills necessary for their future success, VanDamme said. VanDamme developed her teaching method when she began as a homeschool teacher to an exceptionally gifted child about 11 years ago. She drew on the experience of highly educated friends and the educational philosophy of Ayn Rand to put together her curriculum. The school emphasizes science, math, history, and language arts, which VanDamme considers universally necessary for all mature, informed adults. Students must demonstrate a thorough understanding of each topic, often writing essay questions to explain everything from scientific theories to vocabulary. “Something can pass as knowledge when it’s really just memorized gibberish,” VanDamme explained. “We only consider ourselves successful if [students] can explain to us what they’re doing in complete thoughts of their own. VanDamme’s curriculum advances students without putting them in the traditional K-8 grade classes, letting them progress in subjects as quickly as they learn them and constantly challenging each student, she said. Of the 25 students who have graduated from the six-year-old academy since 2005, one-third had made their way partially through calculus before entering ninth grade.